Accelera Iota ST-68 is built for large cars and road going SUV's, you will not be disappointed by choosing this fantastic pattern. Accelera Iota ST-68 is built for large cars and road going SUV's, you will not be disappointed by choosing this fantastic pattern. 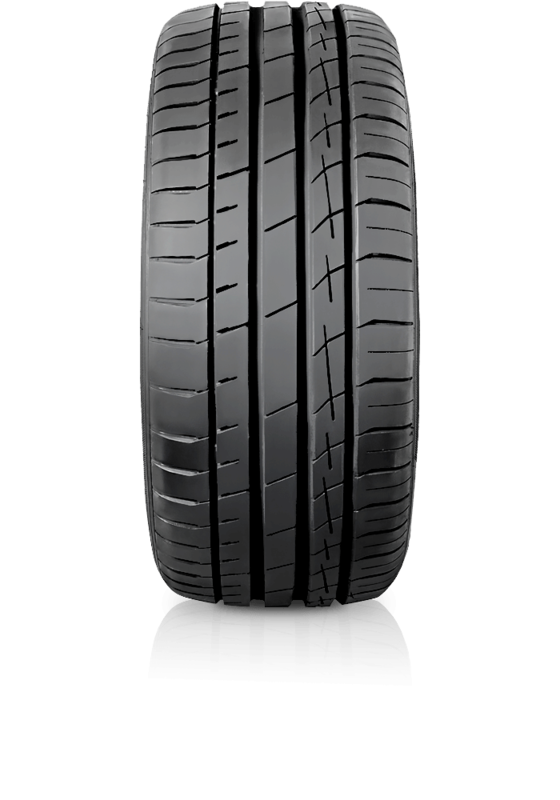 It features an asymmetric tread design with two large central & two smaller shoulder circumferential grooves to increase stability and reduce hydroplaning. The dynamic pattern block combination enhances wet traction. The staggered diagonal sipes are designed to reduce road noise over the previous Iota pattern.